What if there were a place that sought out the best and freshest foods available and then prepared those foods right there in front of you instead of having a previously frozen meal full of all kinds of who-knows what? Why should it be so hard for someone to find food that tastes really great, without feeling like they have to give up their health to get it? In fact – what if it actually powered their lives? That kind of a place is more than just a restaurant… that kind of a place is CoreLife! CoreLife Eatery brings together scratch cooking with flavorful source ingredients and a fast, casual service line for a healthy and affordable eating alternative. CoreLife offers a wide variety of fresh ingredients that are transformed into custom-created dishes. 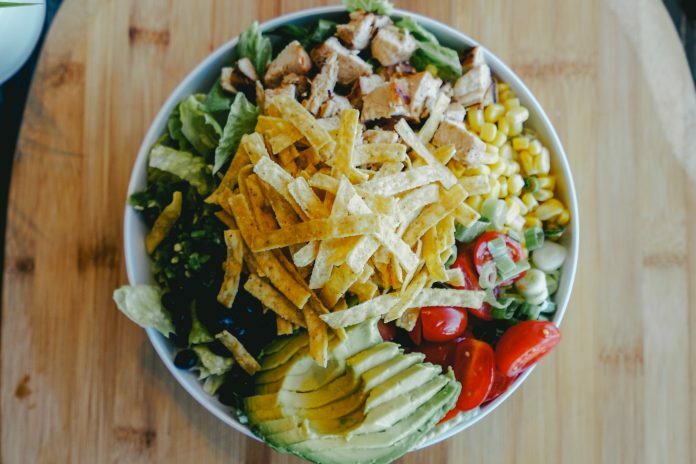 Featuring green bowls, grain bowls, broth bowls, hearty salads and made-from-scratch beverages, this hot new spot is the perfect place for those eating gluten-free, vegan, vegetarian, and more. “You can have a peace of mind with any dish you order that you have just put a healthy, worry-free meal in your body. I come here for my Keto friendly meals because they offer an incredible variety and very tasty options. My kids love it too. The juice bar is amazing. They have a great selection of natural drinks that aren’t artificially sweetened. Their lemonades and teas are delicious. Try the beet lemonade, trust me!” said customer Maria S.
This highly anticipated new eatery is conveniently located at 13419 N Dale Mabry Hwy, and is the first restaurant in a development agreement that will bring at least 32 CoreLifeEatery restaurants to Florida. It opened its doors on October 5th, 2018 in the heart of Carrollwood, and has received a ton of positive feedback and community support since then. Daniel highly recommends incorporating bone broth into our dietary routine due to its incredible health benefits. “Collagen is vital to our digestive tract health. The glucosamine in bone broth can actually stimulate the growth of new collagen, repair damaged joints and reduce pain and inflammation,” said Daniel. Moreover, customers will soon be invited to partake in monthly fitness events like yoga and other low-impact exercises, which will take place right at CoreLife Eatery, before the restaurant opens its doors for regular business. So visit their website regularly to sign up for their next fitness event. CoreLife Eatery is located at 13149 N Dale Mabry Hwy, Tampa, FL 33618. Please call (813) 442-8687 or visit corelifeeatery.com for more information. You can order online through their website or through their app. Just enter your info, place your order, and pick it up. That easy! No need to talk to anyone… unless you want to, of course. Next articleMost Insurance- Protecting What Matters Most!